If you want to be transported to the roots of triathlon, this is the race for you. I love this race – low key, competitive, and super fun. I’m so glad I raced it last year and I’m thrilled I was able to race it again this year. The Sandman is no joke. You start with 0.75 miles around the cement ship in Aptos, a 13 mile ride through the hills, and a 4 mile beach run on the sand. I love the location and I love the challenge. Last year this was my second race – ever. I had a blast. I also had a pretty decent race! This year was still a challenge, and I had a slightly tougher day, but I’m happy enough with my performance. Start of the day: all alone, all quiet. Here we are! A year after what I had originally planned as my first triathlon. I can’t believe how much I’ve learned since that decision! Lessons learned like, minimizing the crap you bring to a race. 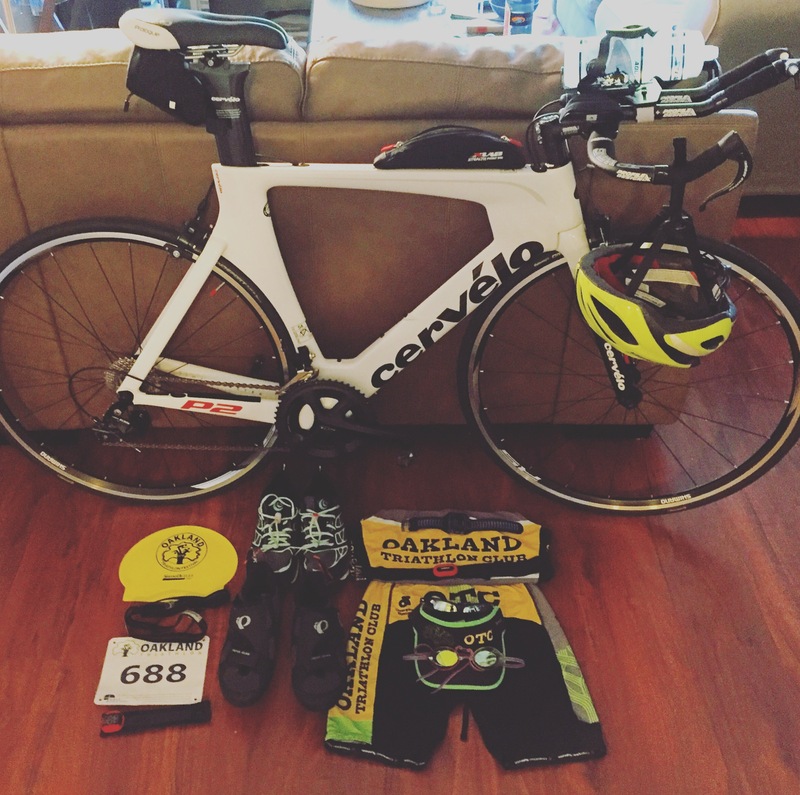 Essentials: Bike, Helmet, Bike Shoes and Running Shoes. Everything else you can make do without. First off: huge thank you to Topo Athletic, the incredible team behind the shoes that have taught me that running isn’t the WORST and that it is actually kind of fun and the team that has supported me since I met them at the Oakland Triathlon last year. What a wonderful group of people! Secondly: thank you to my mom who has supported me at every race she can attend and all throughout youth sports, and my sister who attended her first triathlon – slightly reluctantly, but she was lured by the presence of PokemonGo in Jack London Square. 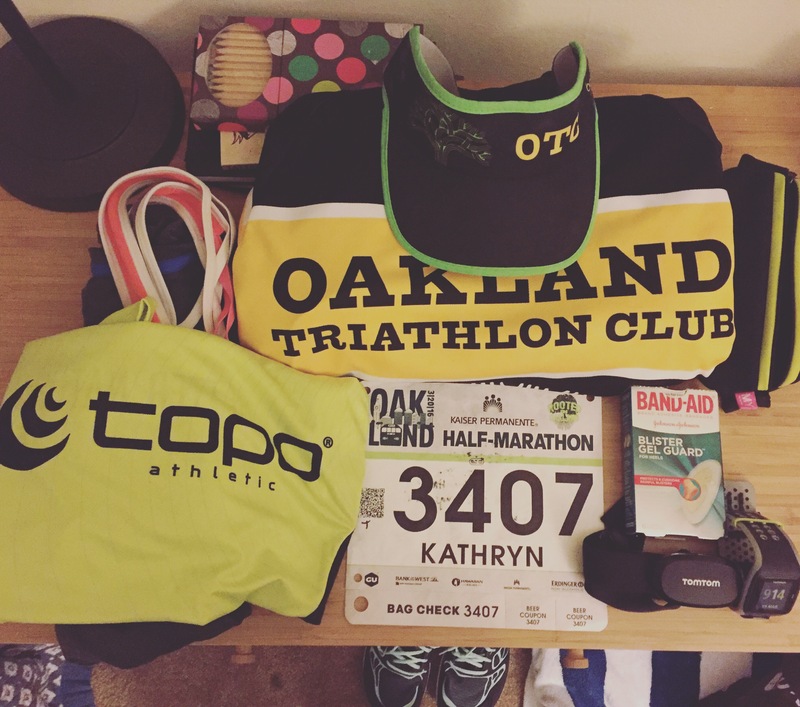 Thirdly: thank you to the fabulous members of Oakland Triathlon who allowed me to bounce questions and ideas off them (Chris, Karolina and Rachel), practiced shoe exchanges in Oakland parking lots (Lydia), and kept me training hard (Chavon). And last but not least: thank you to USA Productions race organizers, volunteers, and spectators! 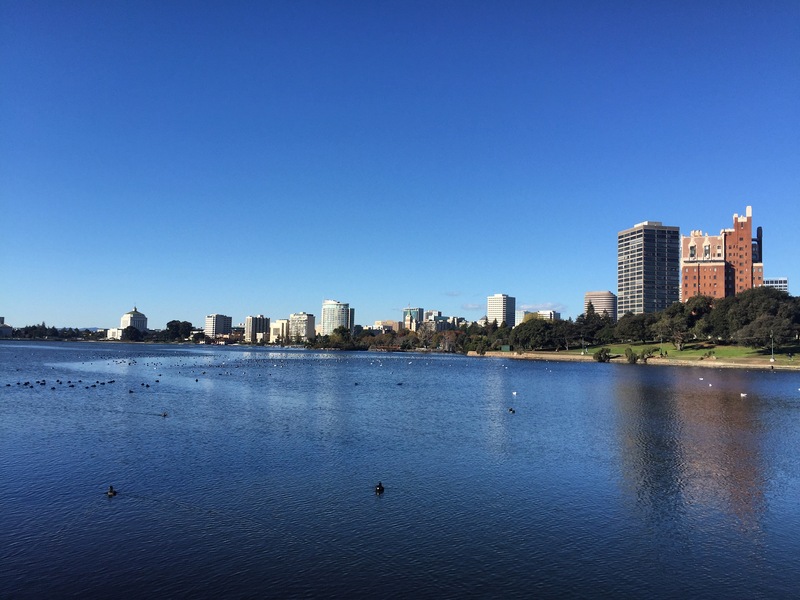 Author KJPosted on September 29, 2016 September 30, 2016 Categories Race ReportTags biking, cycling, oakland, Oakland Triathlon Club, Race, Race Report, running, triathlete, TriathlonLeave a comment on Oakland Tri 2016! 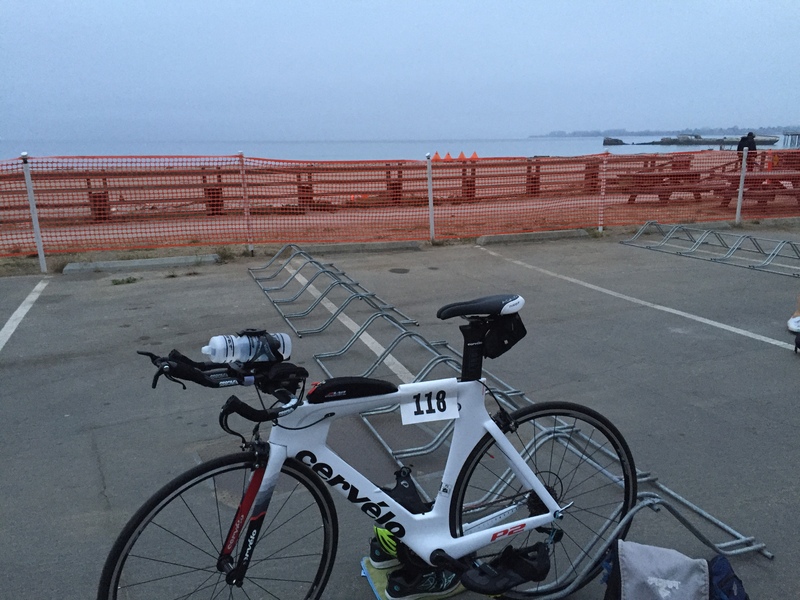 Monte Rio Sprint Tri 2016: Or, my race plan went to hell. I have procrastinated massively in writing this up. It isn’t short. I’d like to say I’ve moved past this, but I can’t lie – I haven’t. I’ve had ten flats in less than two months, and now every time I ride I feel the anxiety pit in my stomach: will I flat again? Will I be stranded in the hills? Will I be forced to walk to my destination? It’s been a little rough. I’m going to attempt to get what I need out of this, and still enjoy looking back. Aw, yay. Happy to be back! First of all, the Monte Rio Triathlon holds a special place in my heart. This was the first triathlon I ever raced (…a whole year ago). It also is the first race I’ve ever repeated – raced more than once – so far. The course is beautiful, Monte Rio is a quaint and quintessential California vacation destination, and the organizers are pros (ran/run Ironman Vineman 70.3 and [independent] Vineman 140.6, now both Ironman races). Despite what seemed like perfect conditions, my day did not go as expected. If you look at race results, I’ve got a super strange (..slow) bike split – and that’s due to my first-ever flat (and first-ever flat change under pressure). I eventually finished. Getting there was a challenge. Last year, this race required you to pick up your timing chip in the morning at the parking lot (four miles away from the start) – they fixed that for this year. Packet pick up was just as easy, timing chip included, as last year. I scoped out the swim, and my teammate confirmed what I’d been hearing: there was most definitely a current in the Russian River, but it was also much deeper than last year! And then… I wandered over to the finish line. Also known as the hill of death leading to the finish line. On your left. I knew it existed, and I really didn’t want to remember that it existed. Especially after my body’s reaction to a finish line sprint at Half Moon Bay. Author KJPosted on July 13, 2016 July 15, 2016 Categories Race ReportTags biking, cycling, Oakland Triathlon Club, Race, Race Report, running, Sprint, swimming, Training, Triathlon2 Comments on Monte Rio Sprint Tri 2016: Or, my race plan went to hell. I learned a big lesson from this race. Without support, you cannot succeed. You may have read about my blister. Or maybe you saw my post about my flu-turned-cough? Ya. One of those turned out to affect me a whole lot more than expected. Had I not started the race with a group of teammates, and been found by another teammate, I probably would have written this as soon as possible and literally left it at “I am never running again” – oh ya, that good. I was soooo ready. And then the race started. This year, runners had the option to attend an Erdinger-hosted Happy Hour on Friday for packet pickup. Since I live in Oakland, I decided that I’d run to the Expo as a tune up on Saturday. That worked out really well! Nice 2.5 mile jog (that’s a soft ‘j’), picked up my packet, strolled through the vendors, and caught the bus home. Uneventful, easy, well-planned. Corrigan knows what they’re doing. I think the Snapchat text has it covered. 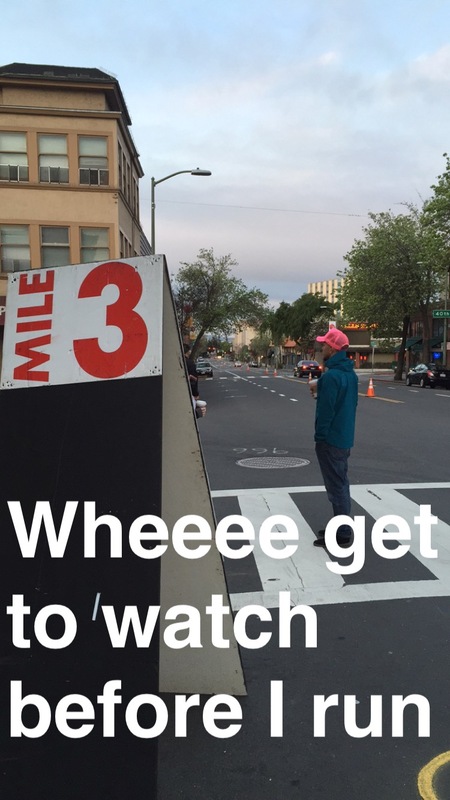 One of the best parts about the half marathon in the Oakland Running Festival is the start time – 9:10 am. Well, ok, maybe that’s a tough part on hot days in March, but this year it was going to be cool outside so no complaints. This also means that there’s an option to tackle the “Run the Town” Challenge and run the 5k at 7:30 am and then head back to the start for the half marathon. I am crazy, but I am not totally crazy, so no, I did not participate in this challenge. But! I was able to warm up before my own race by heading down the hill to Peet’s, grabbing a coffee, laugh at cheer for the marathoners at mile 3, and make my way to the start with plenty of time! And here comes the first pack! After the flu and blister setbacks, I decided I’d push my pace back a little bit. I didn’t want to blow up at the start and have to walk in the second half of the race. I lined up with the 11:10 min/mile pace alongside a bunch of OTC teammates – it was one of their birthdays! We heard words from the Oakland Mayor, Libby Schaff, the National Anthem, and the race started. 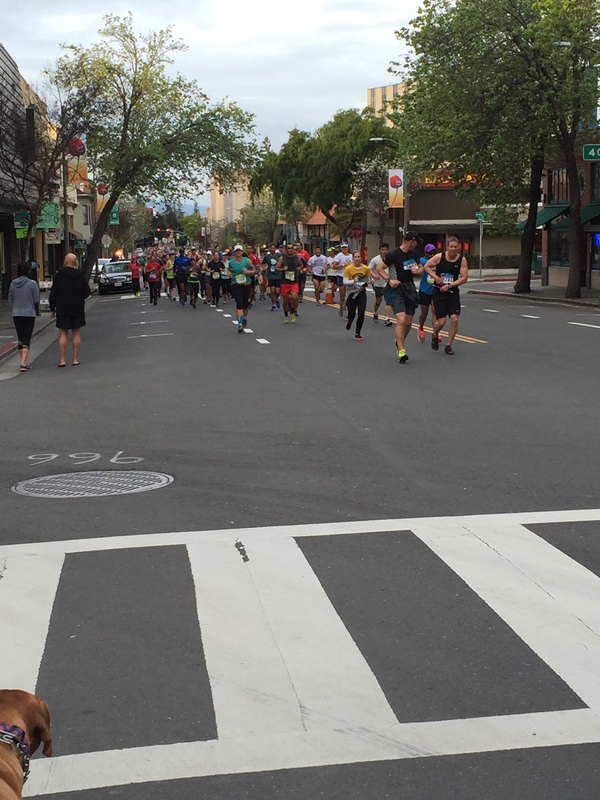 I was very happy joining my teammates through the streets of downtown Oakland – they were following a run-walk plan and I was just cooling my pace down a bit while they were walking. Another teammate found us (we’re pretty recognizable) right around mile two, when the ladies ducked into Taco Bell for a pit stop. I could not stop laughing, but *spoiler alert* they had the right idea. My teammate and I continued on our way, pretty solidly on pace. I felt great as we looped back toward downtown and passed my mom. We were really doing pretty solid! Then my buddy broke off for a pit stop, and I continued on, starting to feel really really warm. I took my long sleeves off around mile five and tied the shirt around my waist. Then I hit mile six. Out of nowhere – place your bets on blister or flu here – I could not breathe. It felt like I was having an asthma attack, which hasn’t happened to me since I was swimming at Tufts in Hamilton Pool. So, I walked. Felt a little better, started running, and then couldn’t breathe. So I walked again. My buddy caught back up to me at mile six. Unfortunately for him, his calf was starting to really act up, because he had raced the 5k that morning. Fortunately for me, he had raced the 5k that morning and his calf was acting up – otherwise I would have been left in his dust. This also meant that he was 100% in support of run-walking. At West Oakland BART, a bunch of people were handing out daffodils to the runners. It was cute and a nice gesture, but I can’t imagine running with a flower! I’m sure the photos were awesome. There’s a long straight stretch on Mandela Parkway, and at the end someone had set up a giant mister to cool all the runners off. It was definitely warm for me at that point, so that was very welcome. THERE WAS ALSO A MINIATURE PIG on Mandela Parkway. Yelling “PIG ON A LEASH” will definitely get your competitors attention! Lots of churches had people outside handing out water – that was also really nice of them, since we ran by during a probably fairly inconvenient time on a Sunday morning! At mile twelve, the sky opened up and it POURED. It was like an East Coast rain storm! We got to run in the rain for the next 1.1 miles. My buddy and I managed to run up the last hill to the finish – at least we didn’t have to walk over the finish line. Like I said, I learned a lot this race. Had I not had a teammate next to me for the last seven miles, I would have DNFd. There’s no shame in a DNF – and I should have taken one. How do I know that? I got to take my first trip to the medical tent after the race because of…well, dizziness? And maybe some return of liquids that I didn’t think I’d see again. I really wanted to stick around and enjoy the party, but I couldn’t. I knew I needed to get home and warm up, get in bed, and let my body calm back down. Was I sore? No. Was I tired after my nap? Not really. 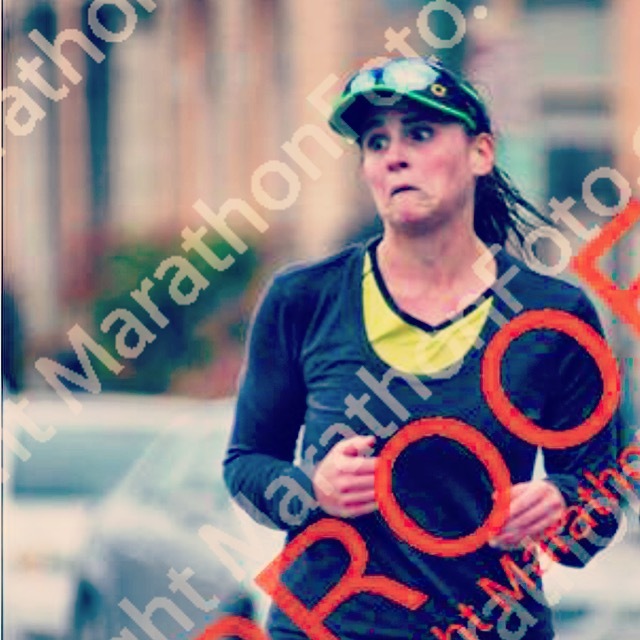 So that tells me I was pretty prepared for my race – my lungs just couldn’t handle it after that flu. Lesson Learned 1: Listen to your body. I refused to believe my body when I was sick. I kept going in to work (new job and all) and kept having to leave early. If I had taken care of myself day one of feeling crappy, I may have had a shorter cycle of the flu. Lesson Learned 2: Race with what you’ve got. If there were a 10k in the ORF, I think I would have dropped down to that. But that wasn’t an option. So I should have either deferred or dropped to the 5k. But I was (unreasonably) determined and pushed too hard. Lesson Learned 3: Look at the bigger picture. So despite being sick and walking the second half of the race, I came out of it only four minutes slower than my first attempt. That first attempt had me walking, too, and I could barely walk the next day. This year? Stayed on pace, walked, had dealt with the flu, and I could walk the next day. I’m pretty happy with where my fitness is, but now this race will just be looming as something I need to conquer (still)! I finished a fantastic run a few minutes ago. And I’m stoked. And I needed to share. I had felt gross and tired all day. I had a stomach ache. There were supposedly thunderstorms rolling through. But this afternoon, the sun came out, the sky was blue, and I decided that was as good a time as any to take my lunch break and get out for my pace run. Excellent. This is with stop lights, stopping to check work emails, and cars deciding to pull out of driveways in front of me. I killed it. I probably should have held back a bit on my first mile and been more consistent, but shoot, guys. I felt so great. I know not every run is going to feel this good, and I want to enjoy it. Did you have a good workout today?! Hope you did, and if you’re not done yet, hope you do!! Whoops. Yell at me, I meant to share this yesterday. Happy Thanksgiving! Thanksgiving is probably my favorite holiday. It revolves around food and togetherness. People wake up early to do an activity before gorging themselves (Turkey Trots, hikes, and so on), and then spend time together cooking and eating – I guess some people watch football – in the name of being thankful. 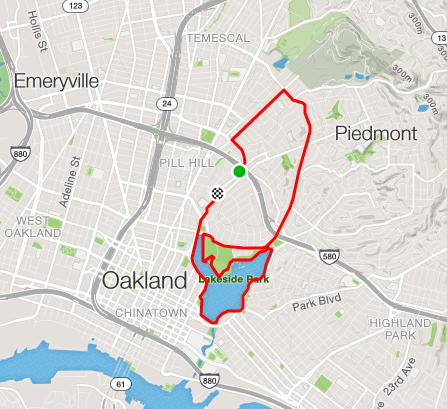 Past Fenton’s (too cold for ice cream), through Piedmont and Grand Lake, and a loop around Lake Merritt. My Thanksgiving was great – let me rub in the drama-less day a little more. My day started off with a fantastic run. I aimed for a solid 10k, so I calculated a route on Strava which I ultimately expanded to a nice even 7 miler. I felt awesome the whole run, didn’t experience any awful GI/flu-like symptoms afterwards, and headed over to my mom’s house for the big day! I’m so grateful to have a loving family, strong supports and loving friends, and my health and the health of those close to me. I’m grateful to have found an excellent team to learn from and train with in Oakland Triathlon Club. I’ve experienced the illness of a loved one, and we fought through that; I’ve experienced my own injuries, and come back from those. While I don’t doubt our resilience, I’m grateful that we don’t have these obstacles to fight right now. 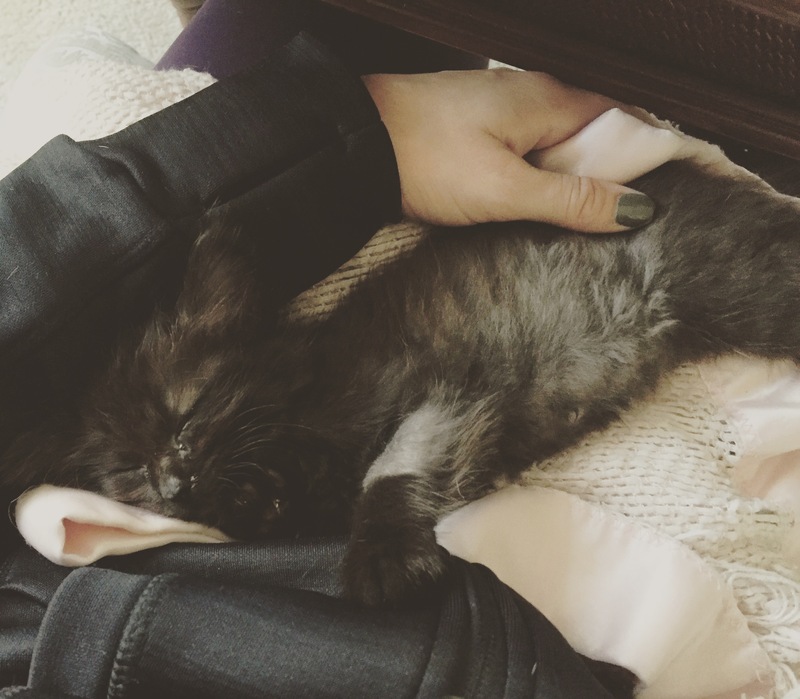 In addition – a few weeks ago I pulled a feral kitten in to my house from the cold California winter (really, it was actually a super cold snap). She’s been through quite a bit – half a dozen vet visits and a two night stay in the emergency vet. But she’s a strong itty bitty kitty, and has recovered very well! She spent yesterday sleeping, eating, or pouncing (also see: typical kitten behavior). Look at this little bug. Shaved leg is left over from her hospital trip and multiple transfusions. Quick note: anything ‘rock’ related was fair game for jokes this weekend. Detour on 101? Rock Road. Instagram topic? Dwayne Johnson. Looming geological feature which Mom and I spent hours reading about on Wikipedia? 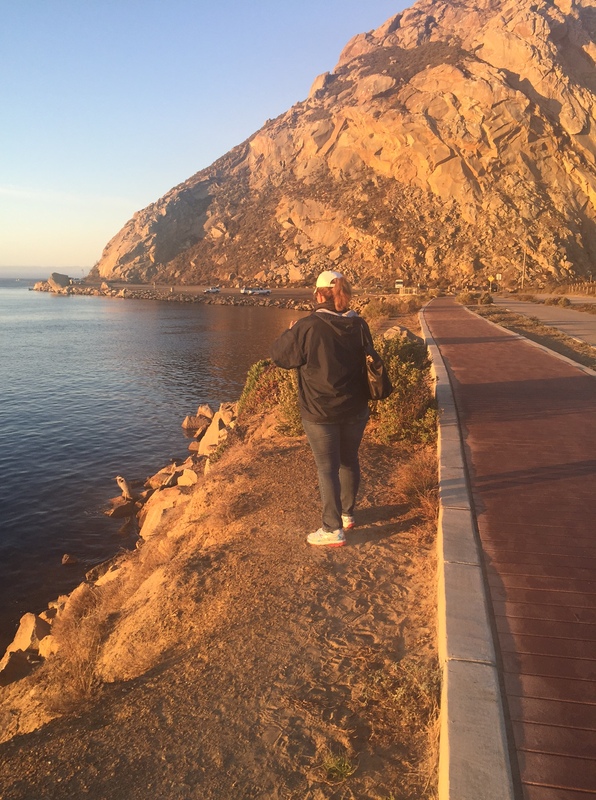 Morro Rock (it is actually super cool). Really – all we talked about this weekend was ‘rock’ in all its forms. Except when Mom (aka the super-sherpa) found a Great Blue Heron and was very sad she missed a picture and then was super-ecstatic when he was there a few minutes later. Mom, the heron, and the rock. She’s going to kill me for sharing this picture. So awesome. Despite technical difficulties, so fun. Also the medals have rocks on them.